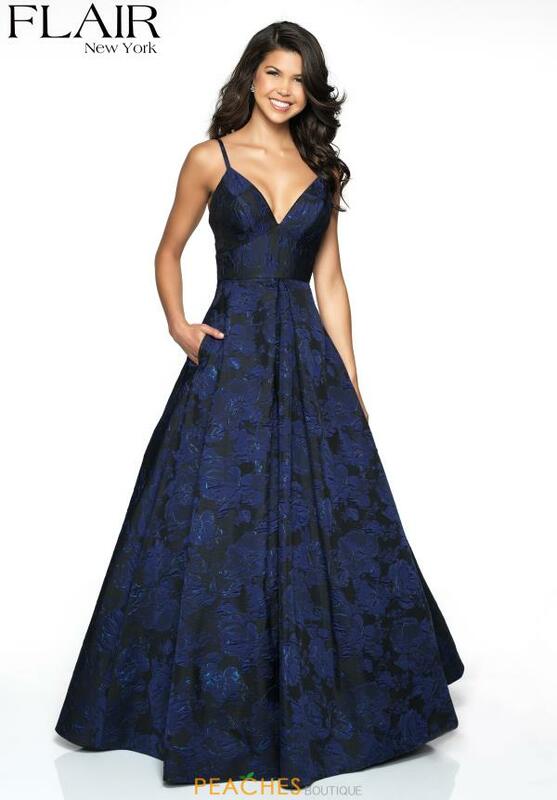 Be bold and rock this one of a kind prom dress 19093 that is made in a printed brocade fabric. Stunning pattern on this gown is absolutely breathtaking. The fitted bodice showcases a seductive v-cut neckline. A-line silhouette will flow effortlessly as you dance the night away. Shop for the latest collection by Flair at Peaches Boutique in Chicago.